Nelkin Designs Blog: A wee little break! 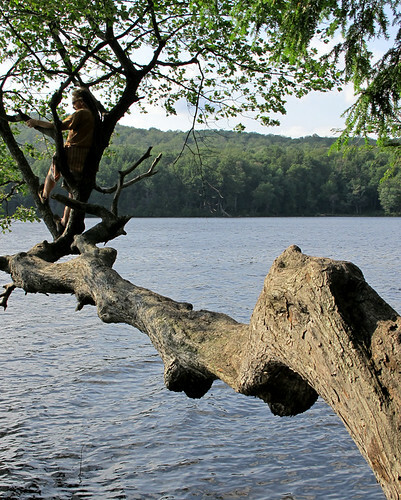 Just back from a rejuvenating family get away in the Adirondack Mountains. We had the finest time slowing down and being together. The only agenda was to slowly indoctrinate the girl to trail riding, every day a harder and longer trail was taken. Luckily on the last day, the insanely fun 16 mile trail we chose had ice cream at mile 13. It's not hard to push yourself a little bit more when there is ice cream to look forward too! 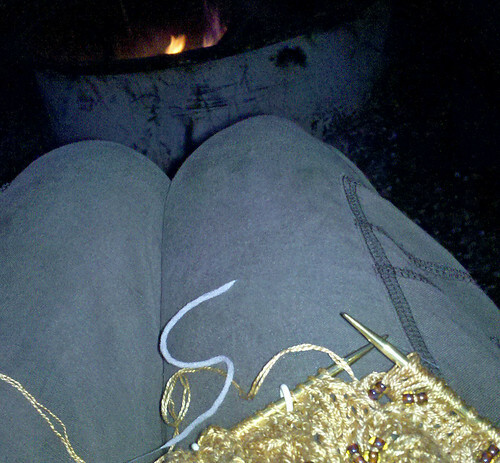 I have to admit, I did A LOT of deadline knitting, with a quota to be filled every night (sometimes by campfire light)... so no worries, it wasn't all fun and games! What adventures have you had this summer? BEADS? and double stranded silk? by campfire? that's just sick woman! you are crazy!